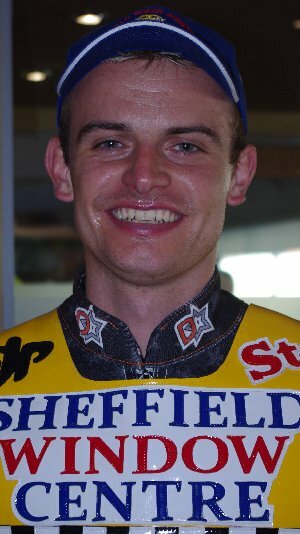 Ricky's 2008 season came to a premature conclusion with a broken wrist sustained in a crash with Trent Leverington in the away win at Glasgow. 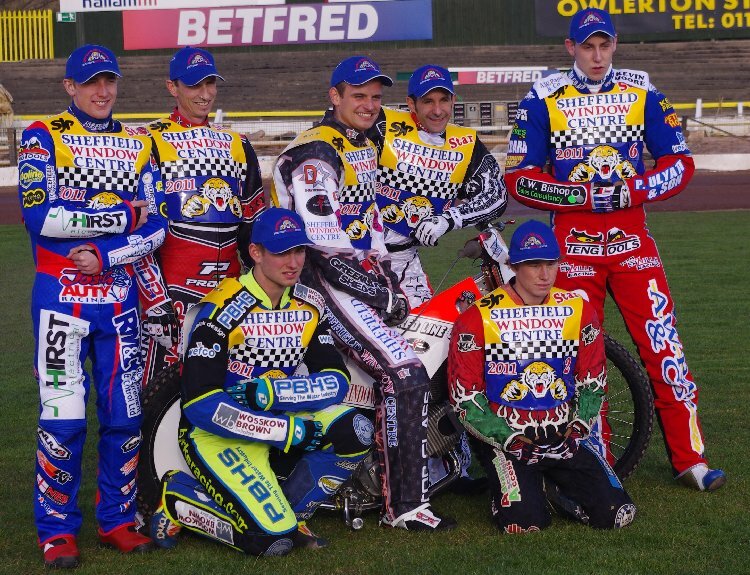 Ricky bounced back to captain the Tigers through their 2009 season and finished the season in style by becoming the Premier League Riders Champion. Richard got a few meetings doubling up for his local club Belle Vue in the Elite League during 2010 but relinquished the Sheffield captaincy while struggling to find his best form. Ricky set a new track record in the Play-off final, the last meeting of the season at Owlerton. 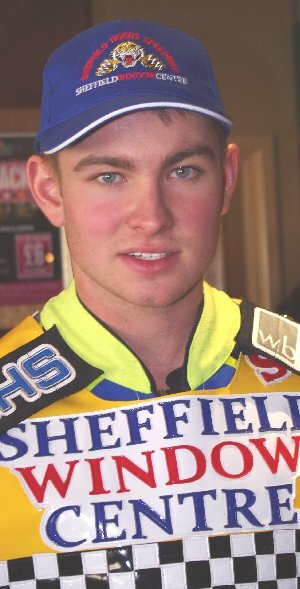 From the age of 12 Josh was a regular at the Sheffield training track and had unlimited second-half and interval rides on the main Owlerton track. He became British Schoolboy Grass Track champion in 2001 (Junior), 2002 & 2003 (Intermediate) and on the speedway tracks he was the British Under 15 champion in both 2004 and 2005. He made his Conference League debut for the Scunthorpe Scorpions in 2005 scoring paid 13 and went on to help them win all manner of silverware in 2006 and 2007. Having signed a contract with Elite League Coventry he made his Premier League debut for Rye House at King's Lynn in the Playoff semi-final in 2006, falling twice and failing to score. Josh made 21 appearances for Redcar in 2007 finishing the season with a 7.23 average. Still at Redcar in 2008, but no longer at reserve a poor run saw his confidence dip and his average slipped to 5.36 prompting Sheffield to approach his parent club to sign him on loan for the 2009 season. Josh toured Australia during the winter months under the auspices of the Darren and Sharon Boocock speedway scholarship. 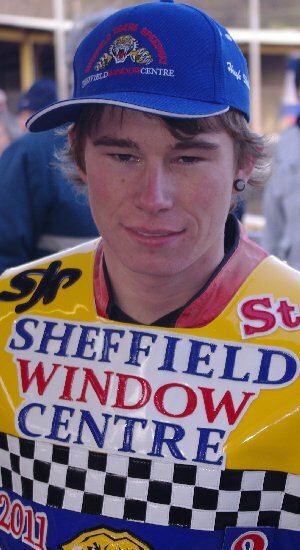 He had a very successful time down under, qualified to ride (as a guest) in the Australian final and will be eager to continue his vein of form into the 2010 season when he will also be doubling up for his parent club Coventry in the Elite League. Josh returns as a Tiger in 2011 and can be expected to challenge for the number 1 spot. Ashley joins the Tigers on-loan from the Scunthorpe Saints whom he joined last year. An ex-motorcross rider he took up speedway following serious leg injuries, although he is also an accomplished cycle speedway rider. Ashley starts the campaign on a 3 point average but will be learning from his experienced team mates and looking to grab some big scores to challenge for a team slot. 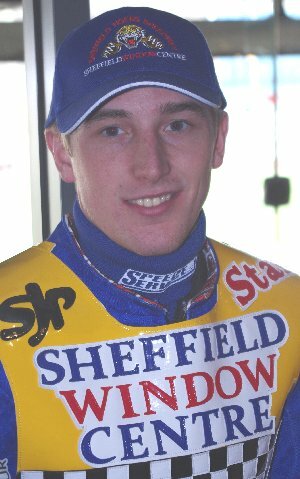 Simon finished third behind Josh Auty and Shane Waldron in the 2004 British Under 15 Championship, scoring 9 points at the Sheffield round. After riding for the Boston Barracudas he made his Premier League debut for King�s Lynn in 2005 and went on to ride four seasons with his parent club. Forced out by the points limit Simon joined Scunthorpe for 2009 and held down a 5.79 average. He started the 2010 season as the Scorpions� number seven but struggled to match his previous form and was released at the end of June. 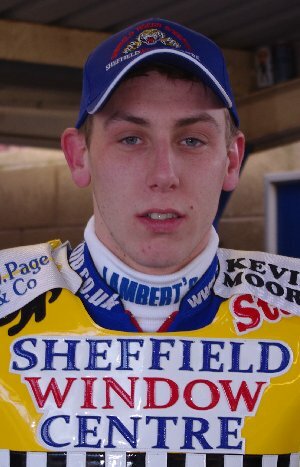 Simon joined the Tigers to replace Arlo Bugeja and soon moved up a gear becomming a favourite with the fans. Shane was the South Australian State Under-16 champion in 1984 and 1985 and Australian U16 champion in 1985. He has five South Australian titles to his name and ventured across the world as a 19 year-old to join second division Ipswich in 1990. In the years that followed he has appeared for Middlesborough, three spells at King's Lynn, Hull, Belle Vue, Peterborough and a six year spell at Glasgow during which time they picked up two championship wins. He shocked the Ashfield supporters by announcing he was not returning in 2010 as he wanted to spend time with his family at weekends, and subsequently joined Somerset for the season. In Poland he has ridden for Machowa, Wanda Krakow, Wokniarz Czestochowa, Gniezno, Polonia Bydgoszcz and GKM Grudziaz. His Swedish clubs were Smerdna and Kaperna and he became Swedish 2nd division Riders Champion while attached to Piraterna. Argentinean Emiliano Sanchez joined the Glasgow Tigers when he first came to ride in this country in 1999. After spending two seasons with Trelawny he linked up with Hull where he was a vital member of the Vikings triple winning side in 2004. 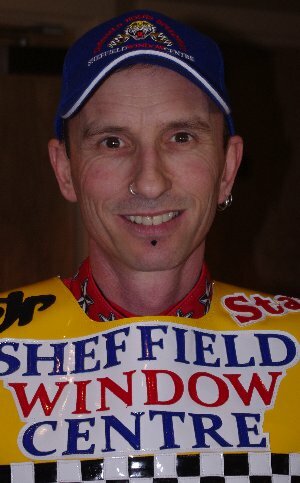 He became an asset of the Sheffield promotion when he was purchased along with his ex-Hull team mates following the Vikings demise and rode for the Tiges in 2006. Emiliano returned to the lair for 2011 but picked up a shoulder injury in only his second ride. Two falls at Armadale in May saw him sitting out the meeting but he was fit in time for the visit to Newport. Another fall at the Oak Tree Arena saw him hurt his elbow and he misses the Redcar and Berwick meetings in June. Hugh has been working hard during the Australian summer to finance new equipment ready for 2011 with the Tigers. He is currently the fastest man around the new Leicester track setting the track record in the very first race, and he's also the fastest man around Owlerton this year.